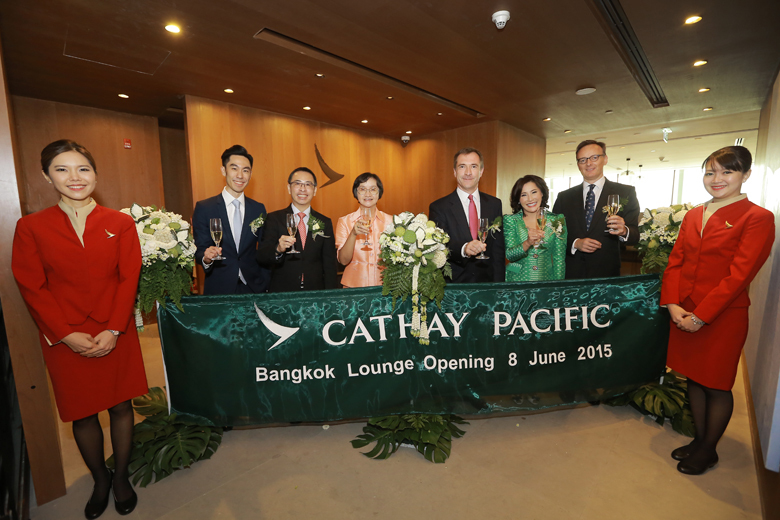 A newly renovated lounge by Cathay Pacific officially opened today at Bangkok Suvarnabhumi Airport. The facility, located at level 3 of Concourse G Departure Hall, was closed from mid-November last year as it underwent a facelift. 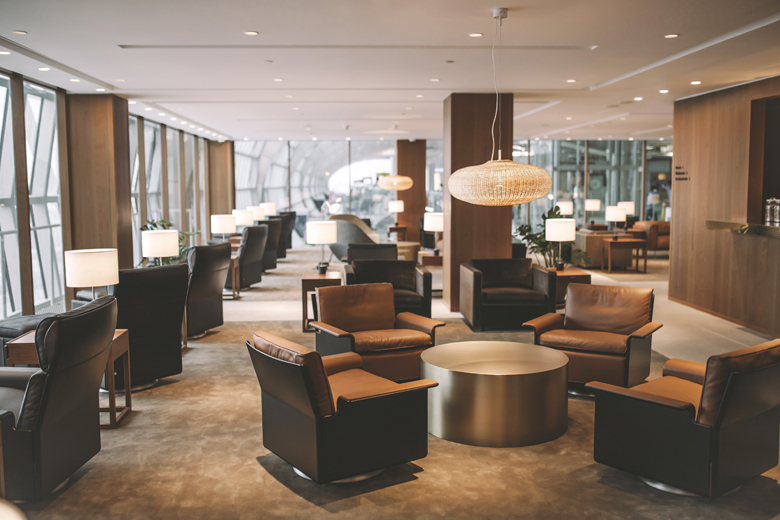 The revamp is in line with a new brand image that has been rolled out at other recent lounge openings including Haneda Airport in Tokyo (see here) and Ninoy Aquino International Airport in Manila (see here). At 679sqm, the new CX lounge is larger than the original offering, and can now seat up to approximately 140 people. According to the Hong Kong-based carrier, the emphasis was to create a “comfortable environment with understated luxury” that would appeal to first and business class customers. Like the lounges in Tokyo and Manila, design of the Bangkok facility was headed by London-based Studioilse, and adheres to CX’s revamped brand design introduced last year (see here). This includes the use of warm, natural materials like wood and stone, while “softening the acoustics when possible” and “taking a considered approach to lighting”. 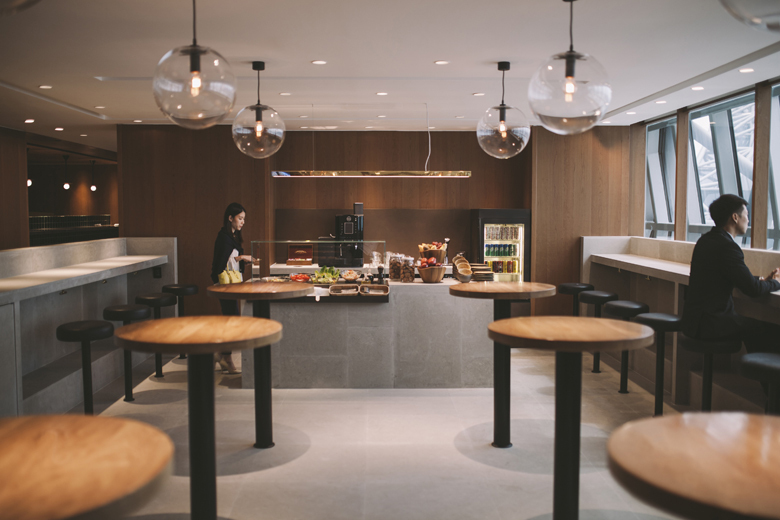 Once again, The Noodle Bar finds its way into the new lounge, highlighted by cherry wood walls and a limestone floor. 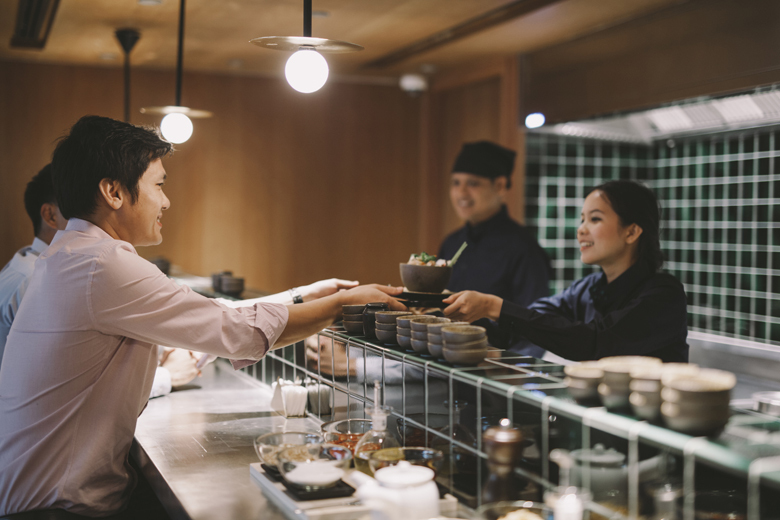 The Noodle Bar is one of CX’s signature lounge features and offers a selection of Asian fare including wonton noodle soup and tom yam soup. Customers that visit the lounge before 11am can also enjoy an authentic Thai breakfast. Meanwhile, the main buffet selection will be offered at the Food Bar, which includes lighter options such as salads, pastries and desserts. There is also a range of freshly blended cocktails and non-alcoholic drinks. Free-standing tables are also present to encourage a social atmosphere. The main sitting area has been designed to resemble a domestic place. There are plenty of seats and charging stations, while large windows allow natural sunlight to filter through and provide direct views of the airport runway. In addition, three individual iMacs running dual operating systems are available in The Bureau, while free wifi is offered throughout the lounge. 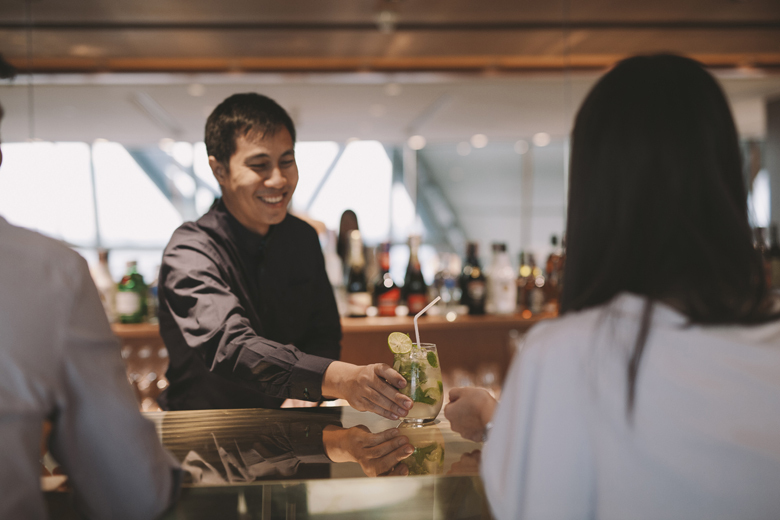 The CX Bangkok lounge is open to Marco Polo Club Silver-tier (travelling on either CX or Dragonair) and above members. Oneworld Sapphire or higher-tier members, as well as Oneworld first or business class ticket holders can access the facility too.